There are many advantages of having a home-based business operation. For one, residential electricity rates are generally lower compared to the rates charged on business establishments or businesses operating in areas designated as business zones. 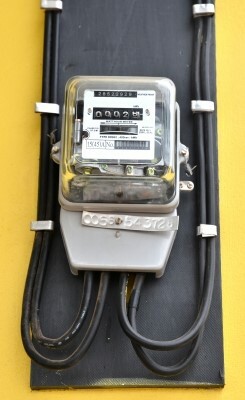 However, both home-based and traditional businesses are not secure against power interruptions. There’s a need to have your backup power supply to make sure that your business does not get interrupted. Generally, there are two main things you have to take into account to ensure that your home-based business is uninterrupted because of power outages. The first is choosing the right power service provider while the second is setting up your backup power supply. In many places, this option would be unavailable as their power is supplied by monopolies. However, if you live an area where there are many power service companies, it only makes sense to be prudent in choosing the right electric service provider. You can’t just choose the same company your neighbor’s use. You have to realize that legacy power suppliers no longer rule and that the electric service industry can change. What used to be competitive service before may no longer be as reliable now. That’s why you really need to do some thorough research. Ask for feedback from other consumers. Also, ascertain good customer service. The power company you choose should be responsive to your calls for technical assistance or inquiries. As much as possible, use devices or equipment that consume less power. Instead of getting desktop PCs, for example, get laptops. For lighting, use LED lights especially if you will just be focusing lights in one direction. This is not only to cut down on your electric bill but also to make it easier to have your backup power. Sometimes, power banks are enough to get you going with your business. If you only need your computer to continue with your business, power banks or big batteries can be enough. Laptop computers already come with batteries and you can augment these batteries with the right power bank. You may have to use an inverter transformer, though, to make your 12V batteries output the right voltage to your devices. Modems and routers usually, on the other hand, run on 12V but they have transformer plugs that are suited for 110v or higher voltage of power so you need to convert 12V to 110v or higher. Home solar power systems are not cheap but they are a great investment if you are operating a home-based business. What’s great about them is that they are always generating electricity for you (which means a lower electric bill) and can be used in case of power in the neighborhood goes out. You may just have to re-channel the power supply to priority devices like computers and routers. If your electricity needs cannot be sufficiently addressed by standby batteries or solar power, getting a generator would be the viable option. You have to make sure, however, that you are getting the right backup generator for your needs. Study your electric consumption. Typically, a unit that produces 4 kW to 8 kW of power is enough to power lights and some important appliances. The more commonly used unit for homes, though, is the 10 kW to 15 kW type, which is enough to run large home appliances including water heaters. It’s important to also point out here that making sure that your business stays uninterrupted is not just about the power supply. You also have to have a reliable internet connection in case your business needs it. Likewise, if you are hiring some staff, you have to have a system that makes sure that the absence of one of your staff does not cripple your business operation. Moreover, if you are running a website, you have to make sure that you are using a dependable web host. Also, be sure to choose a web host that can competently handle cyber attacks like DoS or DDoS. Don’t think that a home-based business is something you can just take for granted. If you are doing serious business and you are aiming for expansion, you have to implement emergency plans especially when it comes to your power supply.